Proving that nothing compares to a model on the cover of a fashion magazine, are the latest selection of covers from four of my preferred publications; W, The Last Magazine, Russh and Purple. 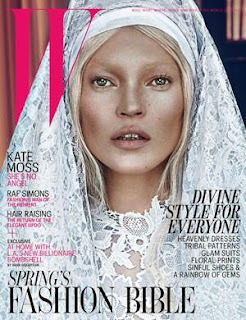 The word iconic springs to mind at first glance of W Magazine's March 2012 issue featuring Kate Moss captured in a heavenly robe and veil by Steven Klein. Fellow veteran Malgosia Bela looks every bit the natural beauty with minimal hair and makeup for the cover of the Last Magazine shot by Josh Olins. Shutterbug Terry Richardson assembles a trio of dynamic models Aymeline Valade, Saskia de Brauw and Daria Strokous for Purple Magazine. 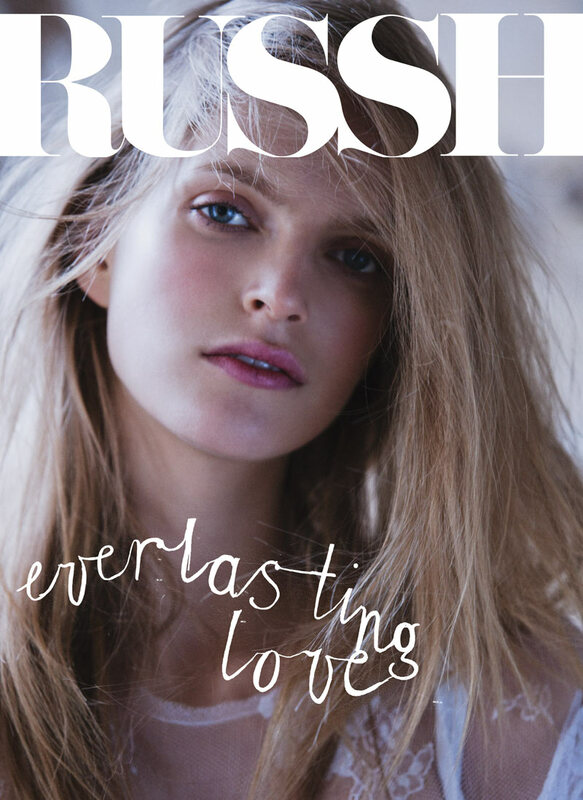 And last but not least, Aussie publication Russh shows plenty of love for model Mirte Maas lensed by Hugh Lippe.